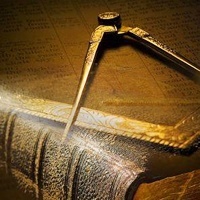 Ottawa District 1 is one of two Masonic districts in the National Capital Region, being part of the jurisdiction of the Grand Lodge of Ancient Free and Accepted Masons of Canada in the Province of Ontario. Our district is under the leadership of our District Deputy Grand Master, assisted by various committees. It is comprised of 15 Masonic Lodges, covering an area from Russell to Ottawa, Richmond, Kanata, Carp, Almonte, and Carleton Place. Please note that due to weather, the DDGM Official Visit to Civil Service Lodge No. 148 will postponed until March 12, 2019. Click here to download the Ottawa District 1 2018-2019 Trestle Board. Click here to download the 2017-2018 Ottawa District 1 History. Click here for details on how to subscribe to the District Calendar from your iPhone, iPad, or Google Calendar.